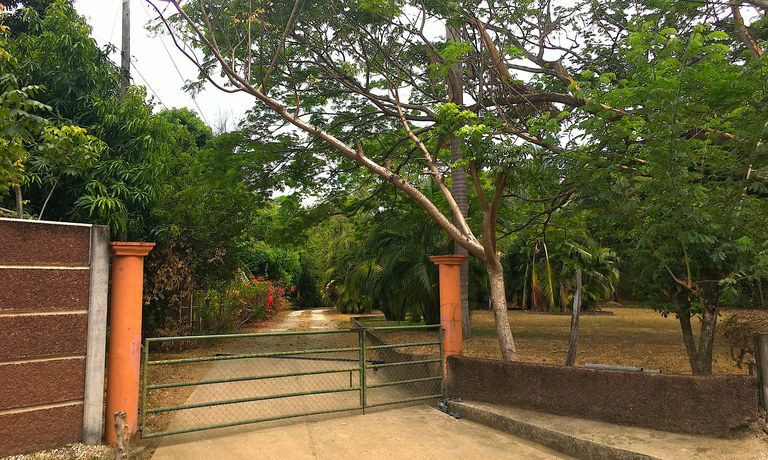 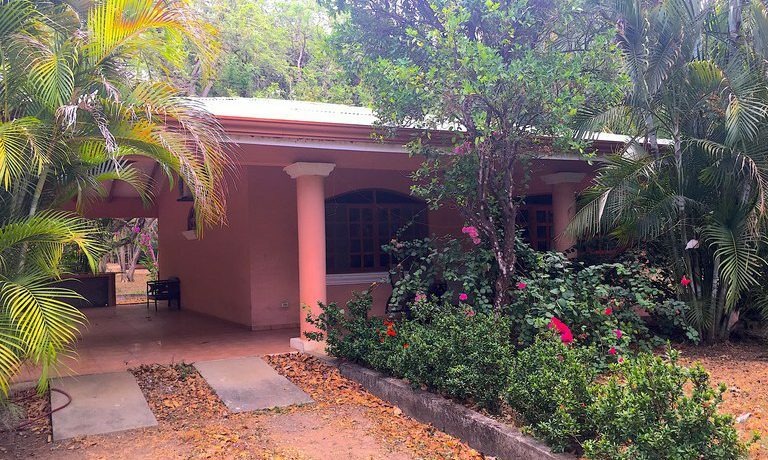 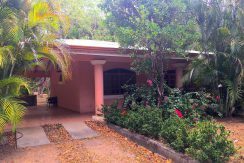 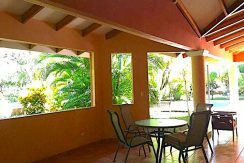 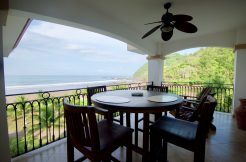 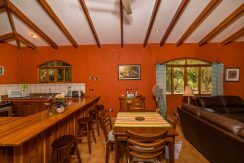 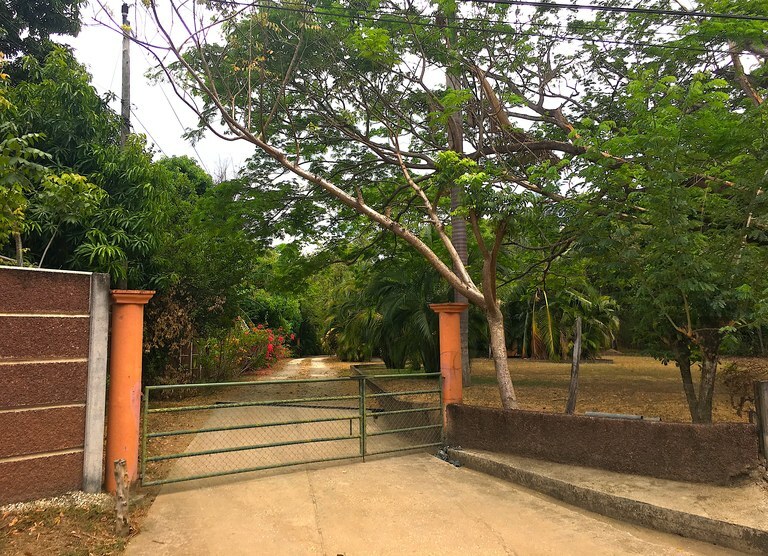 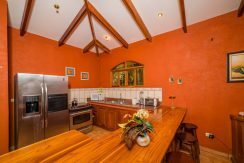 Property consists of 2.6 hectares (6.52 acres) of beautiful land within walking distance ( 1 km ) to the beach of Playa Potrero or Playa Penca. 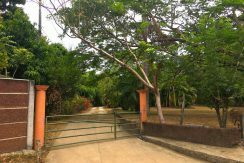 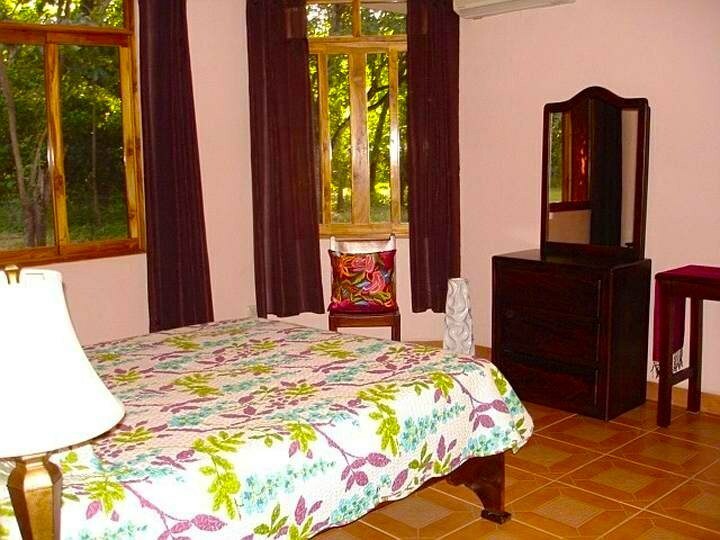 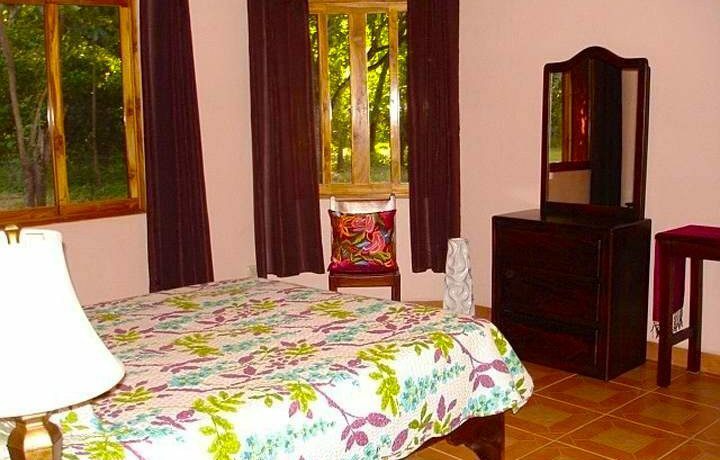 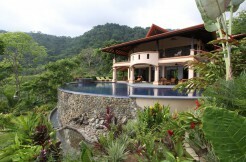 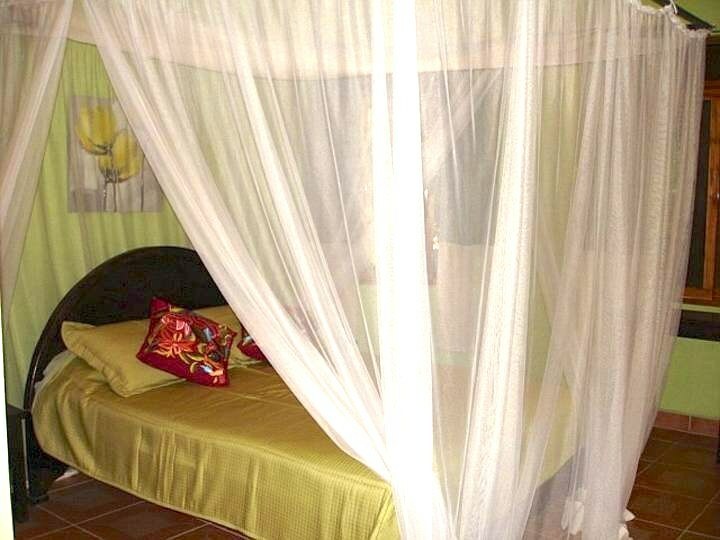 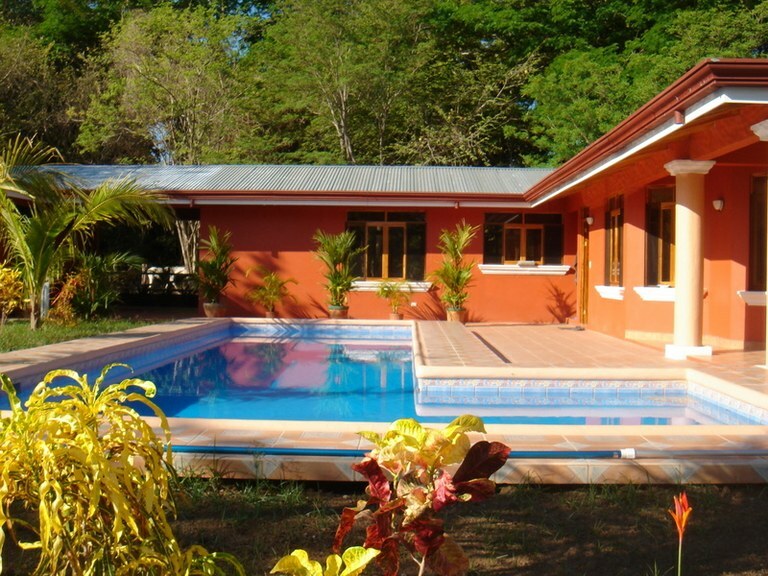 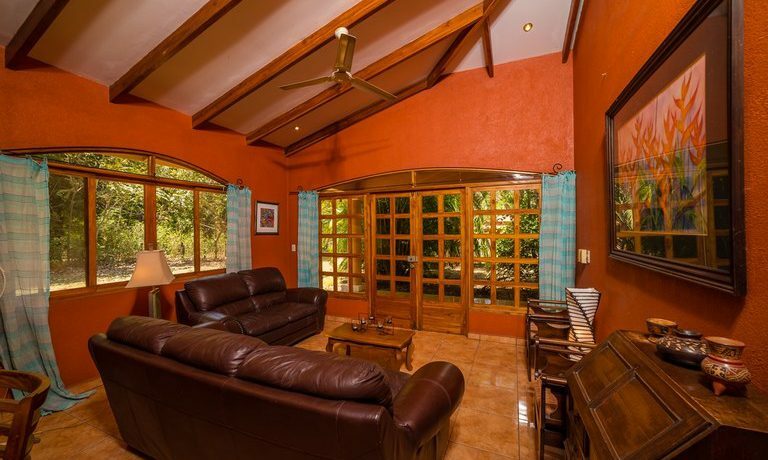 The gated and fenced land is perfectly flat, beautifully treed with 20 Guanacaste and many other species. 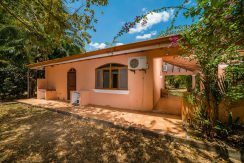 At present there are a total of three houses built in 2007 on this property as well as a casita with a small splash pool in 2016. 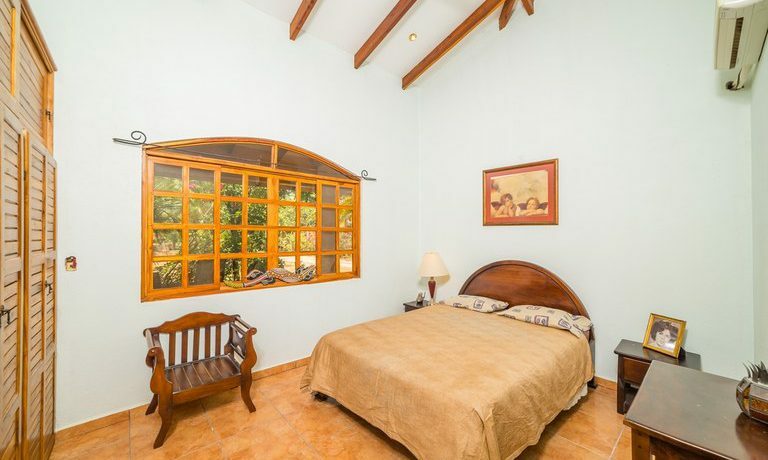 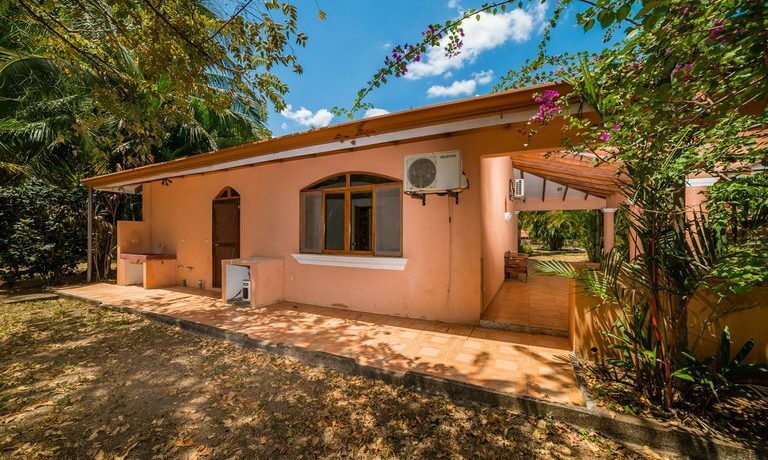 Entering the property, the first home consists of two bedrooms and one bathroom (218 sq mts under roof) with high vaulted ceilings, marble countertops, A/Cs, and includes some appliances and bedding. 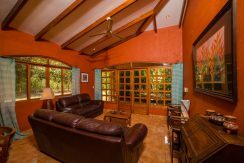 added as an addition to the home. 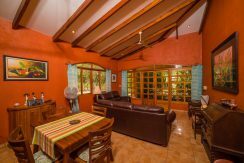 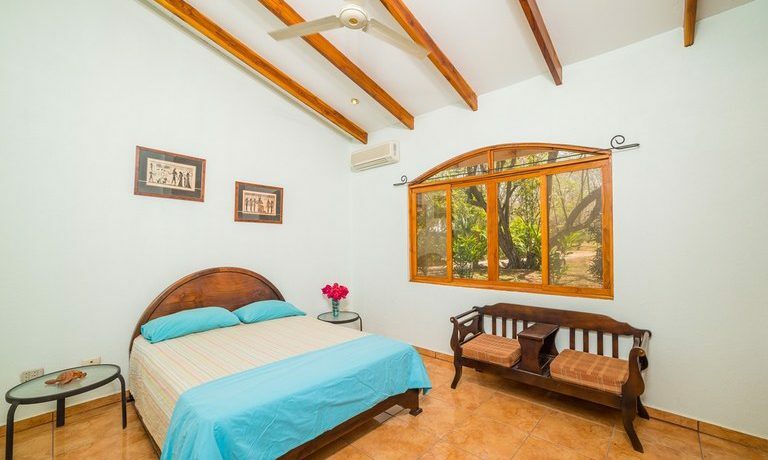 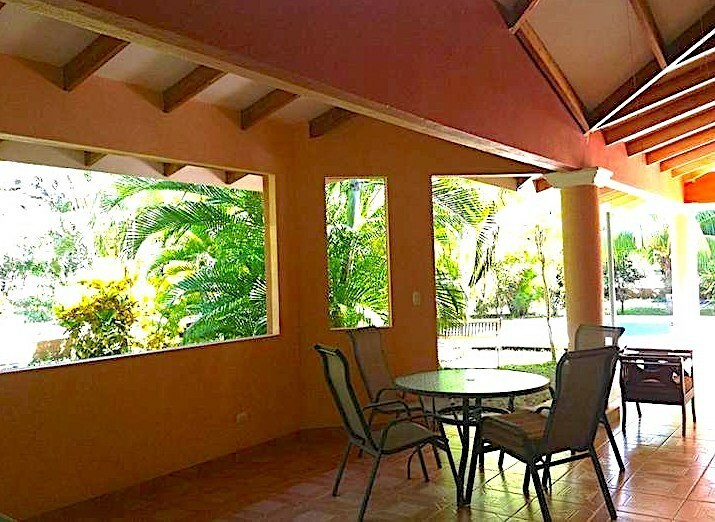 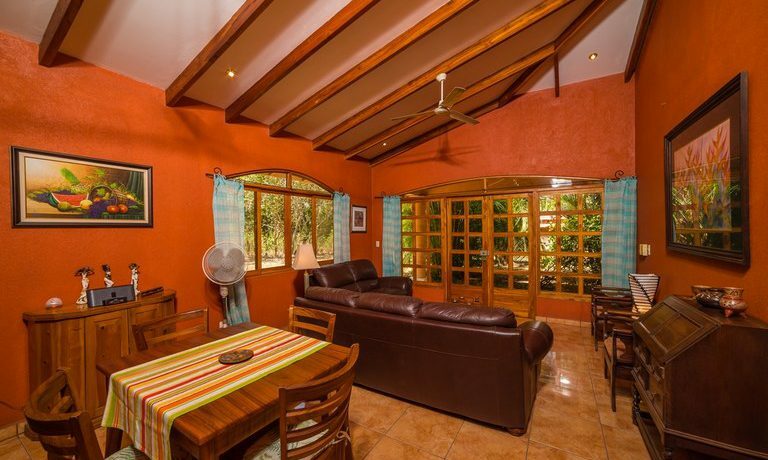 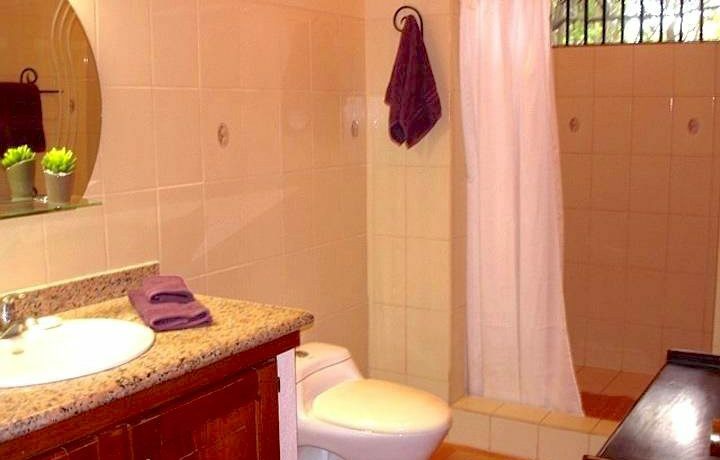 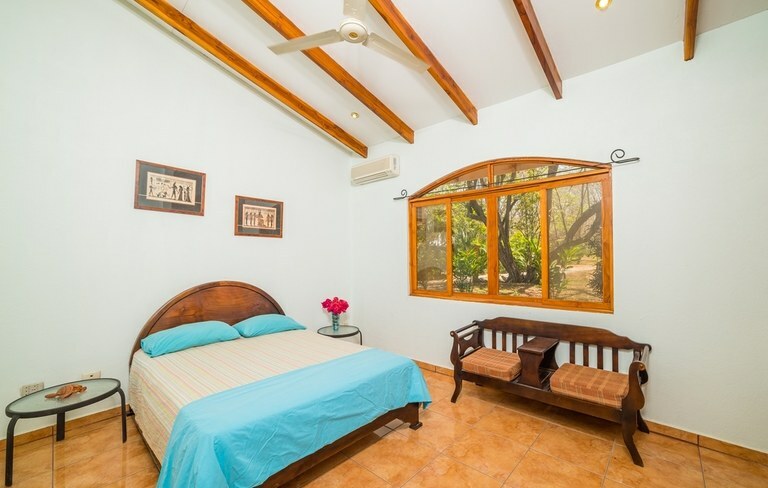 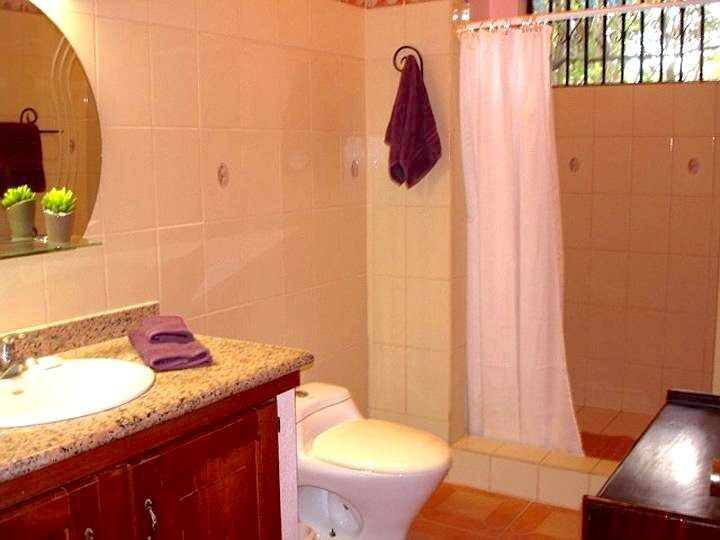 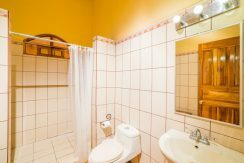 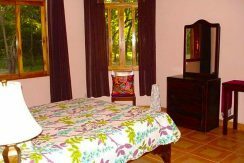 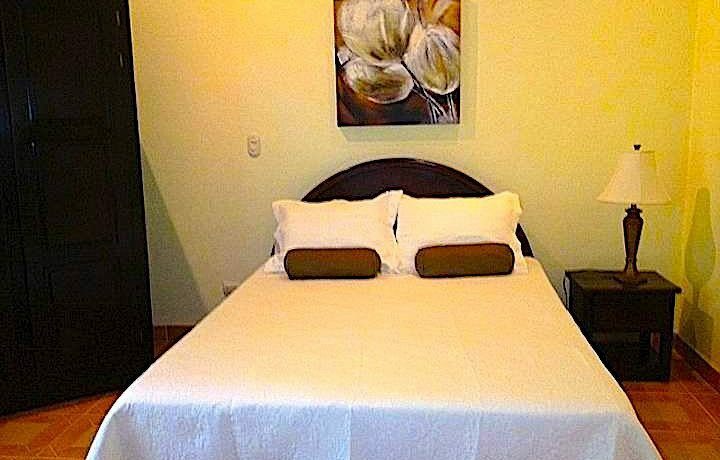 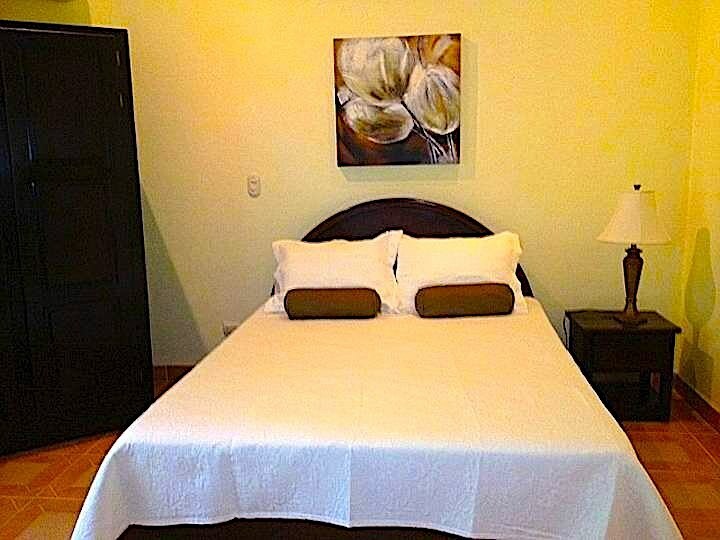 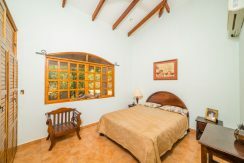 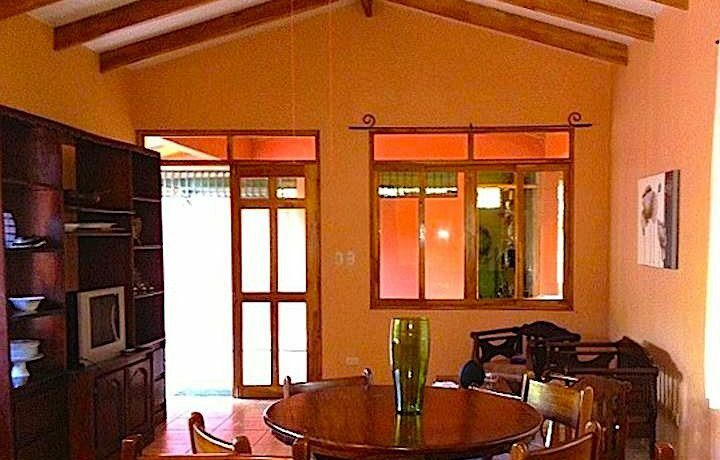 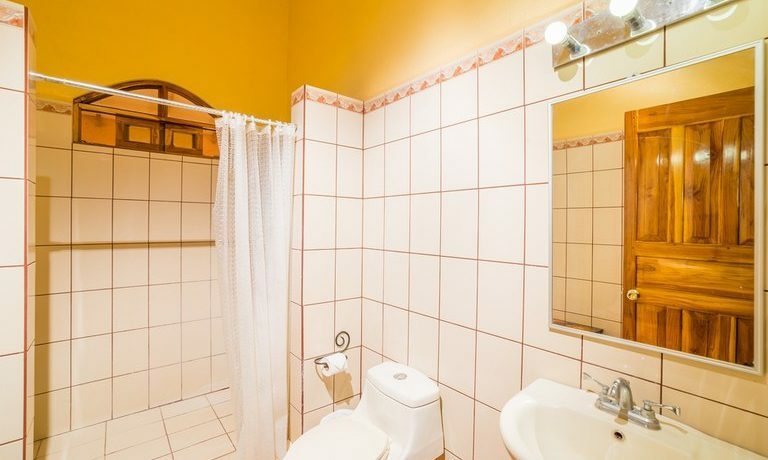 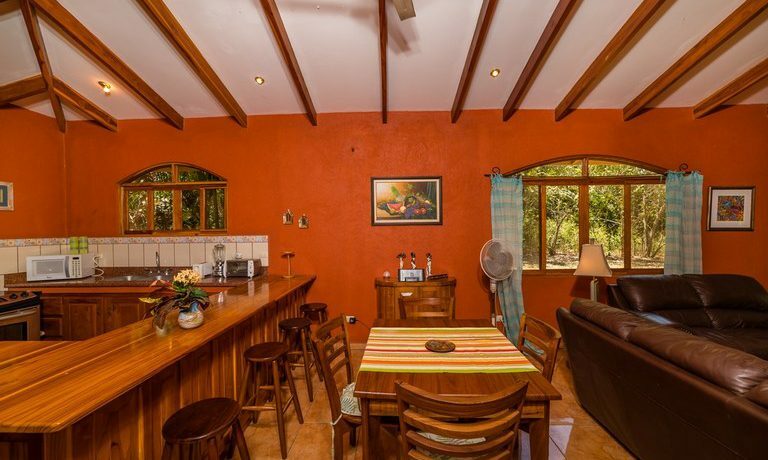 The second home (378 sq mts under roof) is composed of one furnished 2 bedroom, 1 bath apartment and one furnished 1 bedroom, 1 bath apartment linked by a common laundry room. 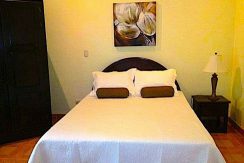 The one bedroom suite would be perfect as manager’s quarters, or the home could be used as a 3 bedroom, 2 bath configuration with a long covered porch used as an open living area. 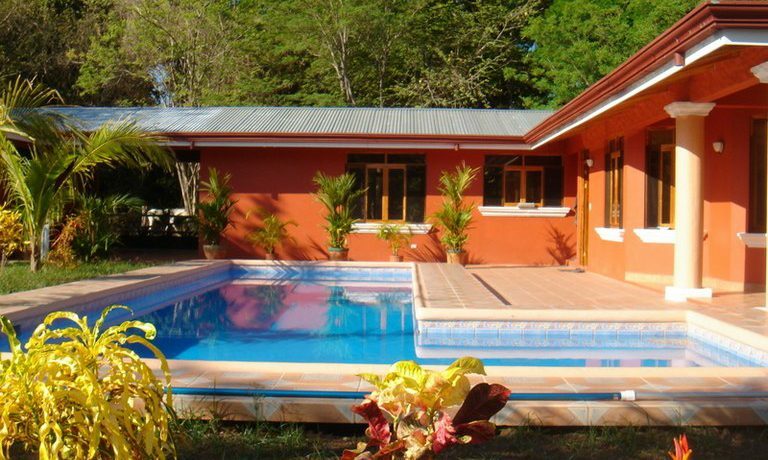 There is a large L shaped swimming pool and a large garage. 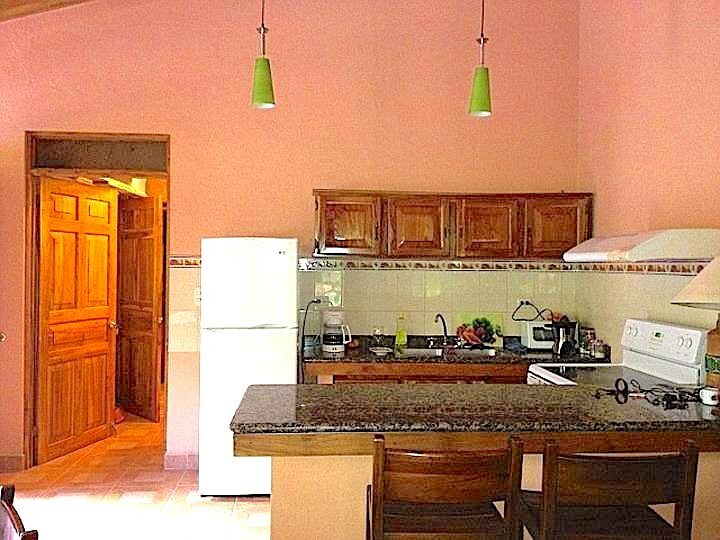 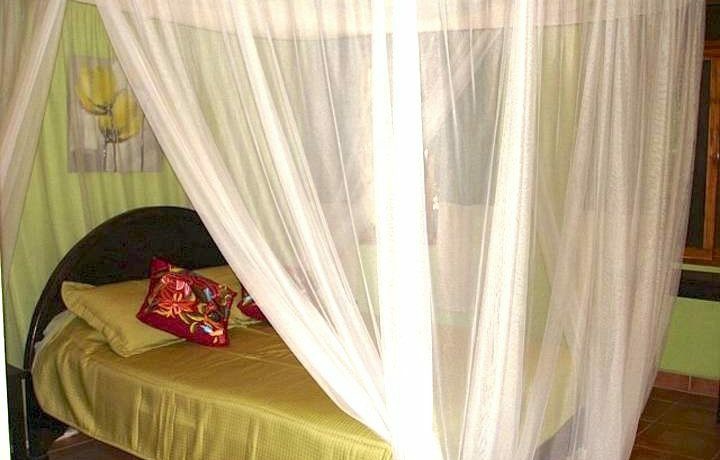 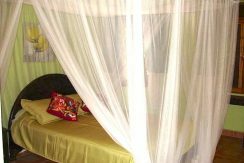 All appliances are included and it’s fully air conditioned and fully furnished.. 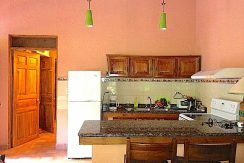 Kitchen and bathroom countertops are granite. 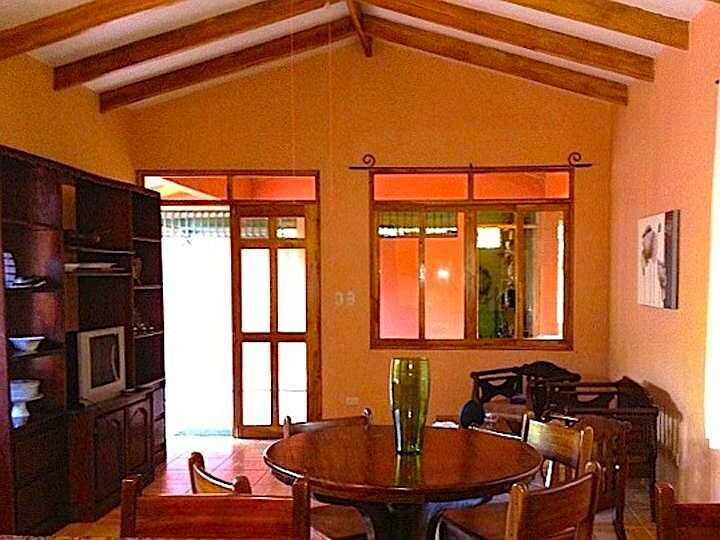 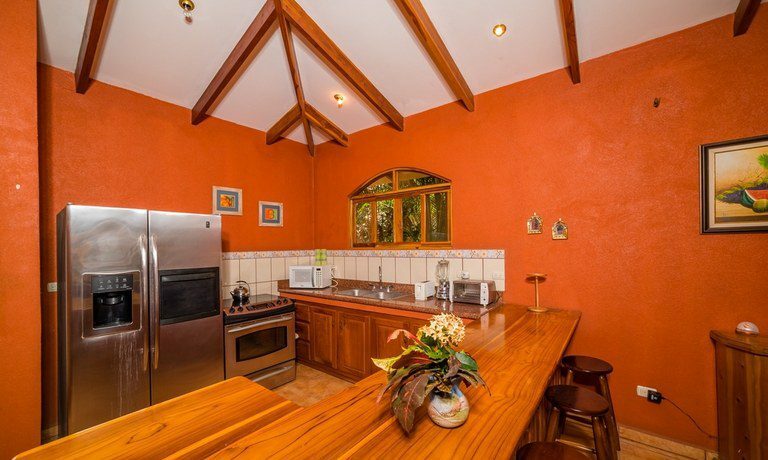 The high vaulted ceilings provide a spaciousness and quality in the construction of these homes. 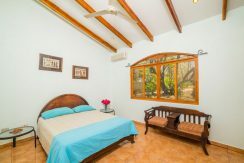 Ceiling beams, doors and windows are made of teak wood. 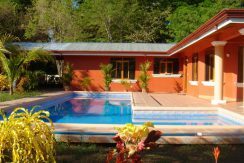 The third home is (162 sq mts under roof) and is built very similar to House #1, with 2 bedrooms and one bath, plus a lovely swimming pool. All of the houses are serviced with both city and well water. 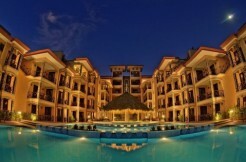 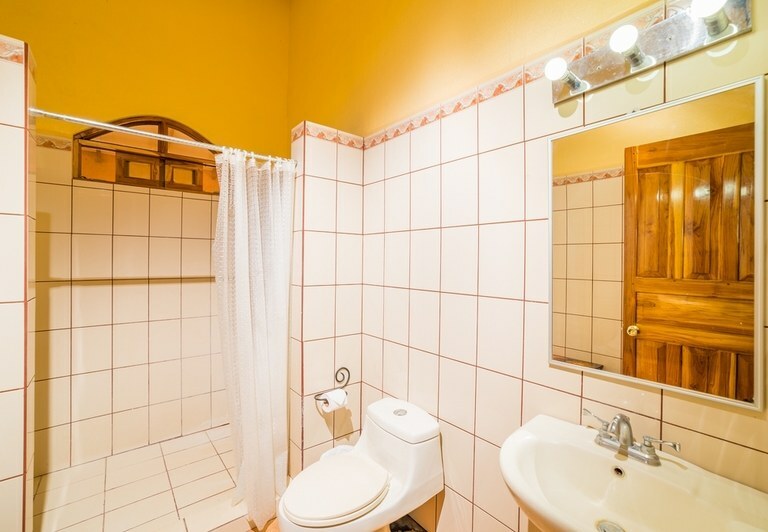 the beach and tourist amenities, there are many options.